Large project bag free with $75.00 merchandise purchase from our web sites as a thank you! 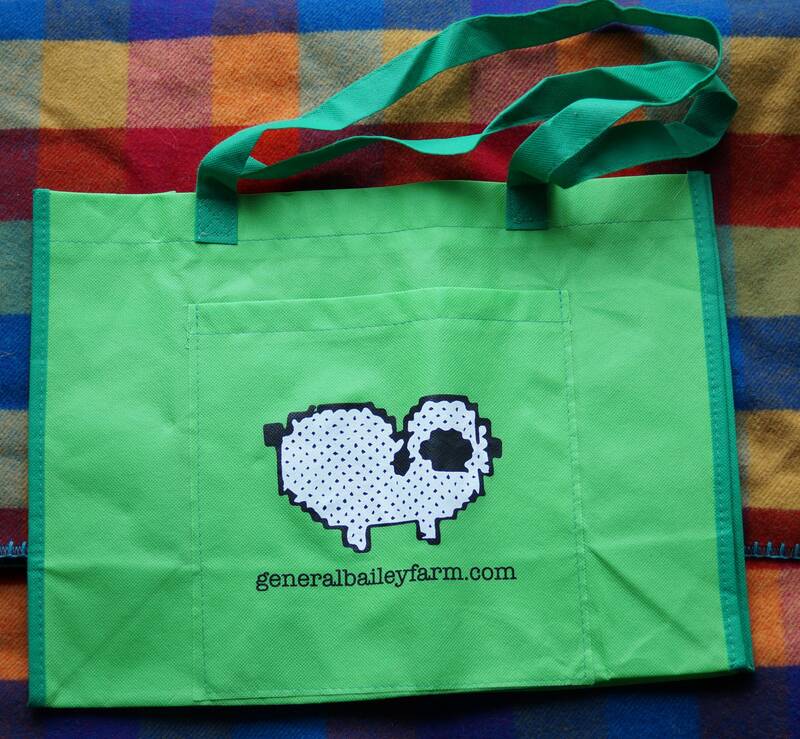 Tote bag can be purchased separately. Bag is hand washable and made similar to woven material same as a grocery bag. Bag measurements are 12 inches high, 15 inches wide, 6 inch gusset. Handles are 11 inches high. Has large pocket on the front with our sheep logo. Front pocket is 8 1/2 inches wide by 9 1/2 inches high. Plenty of room for your project. Just order with your other items for cost refund or bag may be purchased separately. Shipping is free if you order other items that I can ship bag with.